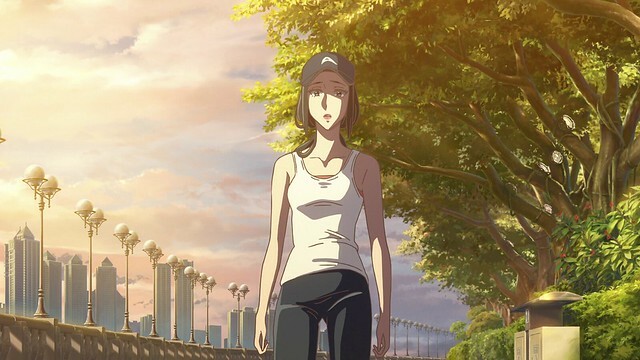 Flavours of Youth is an animated anthology that is directed by Li Haoling, Jiaoshou Yi Xiaoxing and Yoshitaka Takeuchi and produced by Noritaka Kawaguchi. 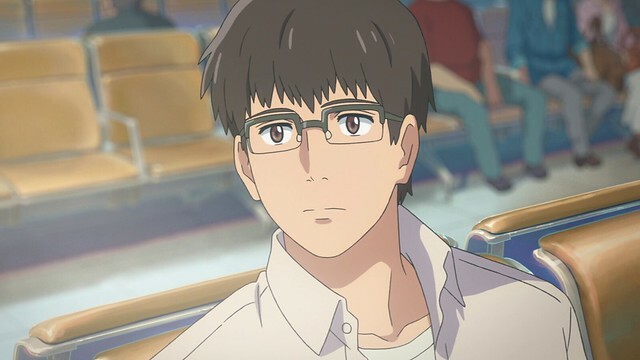 Releasing internationally on August 4, Flavours of Youth (spelt Flavors of Youth in The United States, known in Japan as Shikioriori (詩季織々) and Si shi qing chun (肆式青春) in China) follows the stories of three youth in China. 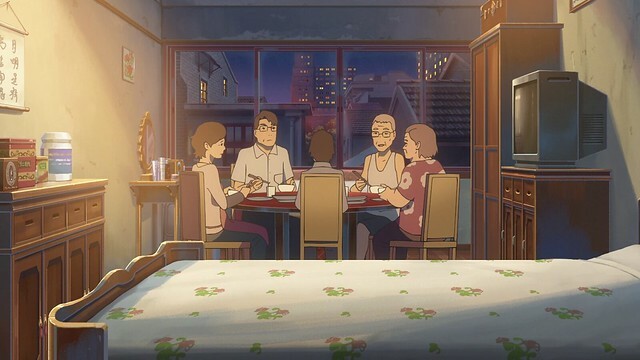 The first act, Sunny Breakfast, follows Beijing salaryman Xiao Ming (小明, jyutping siu2 ming4), who recalls fond memories of enjoying noodles with his grandmother. As he grows older, and the world changes around him, the things he liked greatly become more distant. 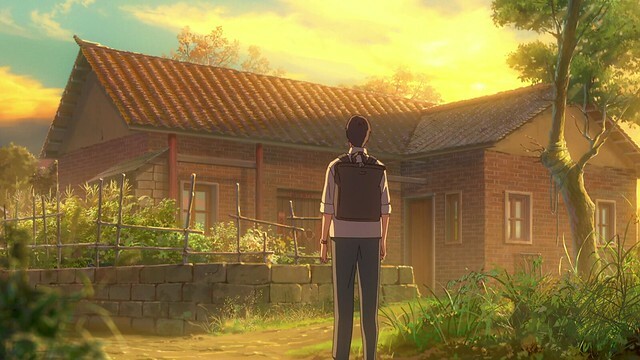 One day, after eating the noodles in a Beijing eatery and missing those of his youth, Xiao Ming receives a call from his parents, prompting him to return home, where his grandmother passes away. 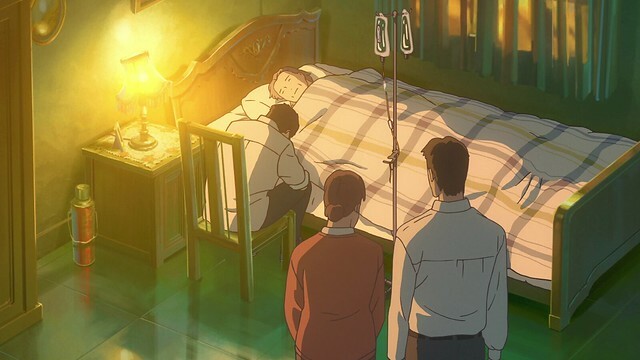 Devastated, Xiao Ming nonetheless feels that time will heal the hurt, and that his memories of his grandmother will endure because some things never change. The second act, A Small Fashion Show, is set in Guangzhou. As the story starts, model Yi Lin (依琳, jyutping ji1 lam4) misses celebrating her birthday with her younger sister, Lulu (璐璐, jyutping lou6 lou6). She explains that she wants to both be a good sister and a successful model. However, in order to retain her physical appearance, Yi Lin exercises regularly and maintains a watchful eye over her diet. 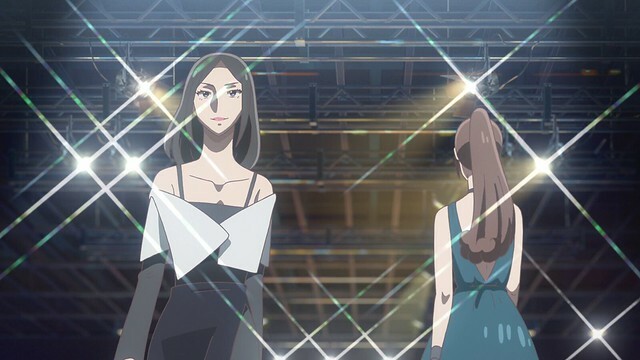 The stresses of her work, and fear of being replaced by a younger, more attractive model leads her to succumb to an eating disorder: while working on a modelling event, she collapses. She reawakens in the hospital with Lulu by her side, and contemplates quitting modelling. After a fight with Lulu, her manager, Steve(史蒂夫, jyutping si2 dai3 fu1), convinces her to give modelling one more go, and she is surprised to learn that she will model the clothes that Lulu designed. Finding that balance between work and family, Yi Lin continues modelling, with Lulu designing many of the clothes that she wears. The final act is set in Shanghai and appropriately titled Love in Shanghai. It opens with architect Limo (李墨, jyutping lei5 mak6) moving into a new apartment to focus on his career with help from Pan, his friend. He finds an old cassettes from Xia Xiao Yu (夏小雨, jyutping haa6 siu2 jyu5) and rushes off to his grandparents’ home located nearby, which is scheduled for demolition. Listening to the cassette, he relives his friendship with Xiao Yu, a studious girl who had plans to attend a prodigious high school. Determined to follow her, Limo puts his full efforts into studying for the entrance exam for the same school. Although he is accepted, Xiao Yu is not. Over time, their paths separate, but upon hearing the cassettes’ content, he is encouraged to follow his dream of running an inn. Some years later, he encounters Xiao Yu while running his inn, when she checks in as a guest. 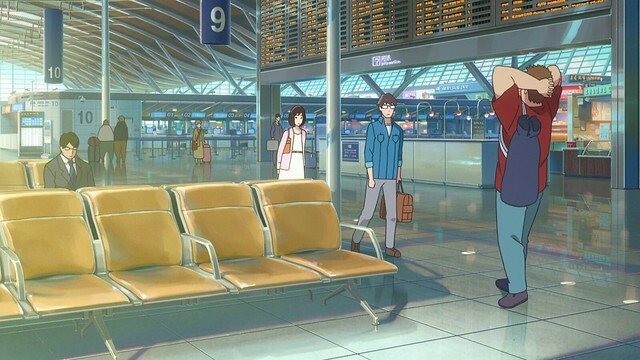 In the post-credits scene, Xiao Ming, Yi Lin, Lulu, Limo, Xiao Yu and Pan cross paths at an airport, separately setting off for their next great adventures. 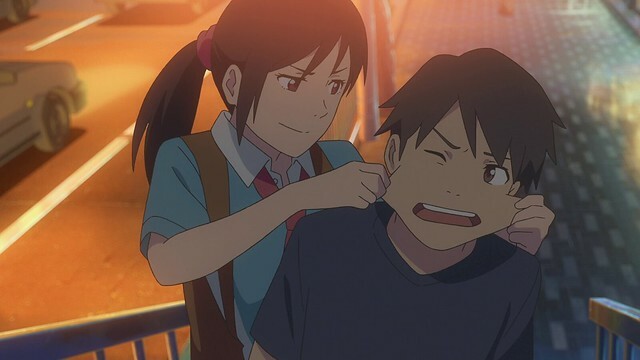 Similar to Makoto Shinkai’s Five Centimetres per Second, Flavours of Youth is a three-part anthology animated by Comix Wave, and as such, shares the incredible visual fidelity with Makoto Shinkai’s movies. However, this is where the similarities end. 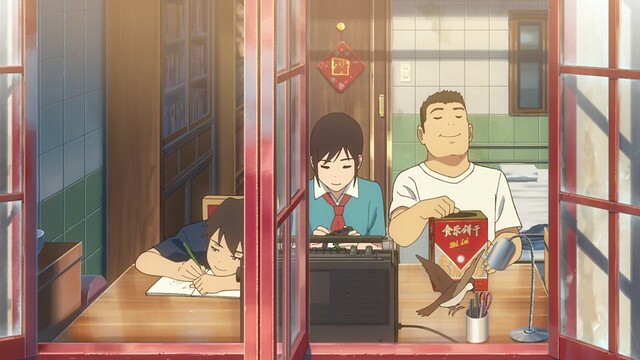 Set in China, Flavours of Youth deals with a completely different set of thematic elements: love and distance are fleeting elements, overshadowed by themes of change. Whether it be the fading and rediscovery of memories through the taste of homemade noodles, changes in one’s career that also reinforces family bonds or how a changing cityscape sees people separated and reunited, Flavours of Youth illustrates, through each of its three acts, the transience and fleetingness of life itself. Things change, become replaced, forgotten, and occasionally, are found again: nothing in life is absolute, and each of Xiao Ming, Yi Lin and Limo live their lives out, making new discoveries and learnings with each passing day. While their experiences are steered by circumstances around them, all of the characters have agency – they learn to take ownership of their decisions and own the moment with their experiences. In doing so, Xiao Ming comes to terms with his grandmother’s death, Yi Lin finds new life in her family and career, and Limo ends up following a dream he’d lost sight of. These seemingly disparate stories ultimately act as dramatically different representations of dealing with change in one’s life, and in China, a country known for its radical change (in the past five decades, China has gone from a backwater nation to a regional power), the pace at which things advance can be quite dizzying. Through Flavours of Youth, it is shown that people embrace change in their own way, being focused in their own livelihoods. As such, the changes to Chinese society and China as a whole, do not seem so overwhelming to individuals who are simply working their hardest to better their own situations. 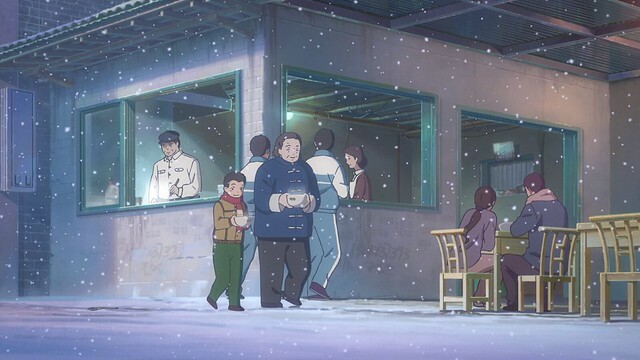 While Flavours of Youth may sport the same visual style as a Makoto Shinkai film, its cultural aspects are completely different, and admittedly, it is a bit surprising to see Chinese people display the occasional mannerism typically seen in anime. 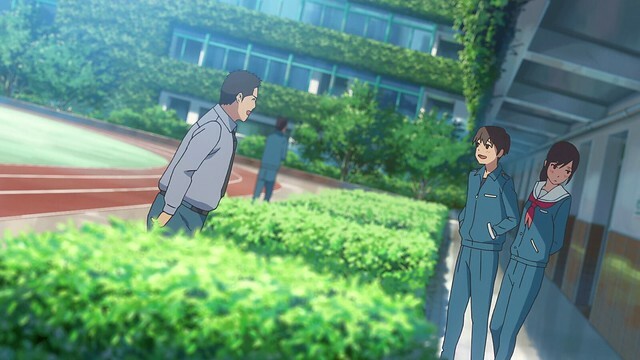 However, this is a very minor element in Flavours of Youth, and I am more impressed with the cultural elements that the film does portray. 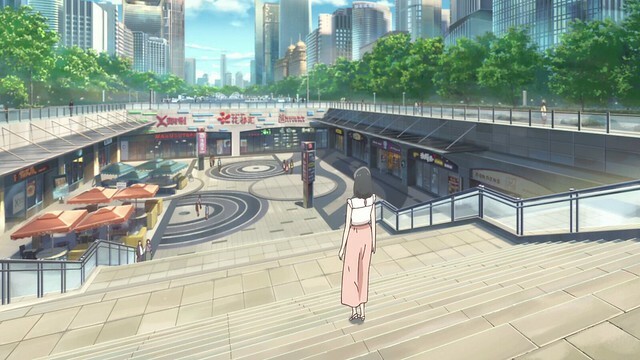 I can say this with authority because I am of Chinese heritage (specifically, Cantonese Canadian): it was quite striking to see the things I see every day (and occasionally, take for granted) in an anime film that is a collaboration between Japanese and Chinese people. There are three separate cultural elements, one for each act. 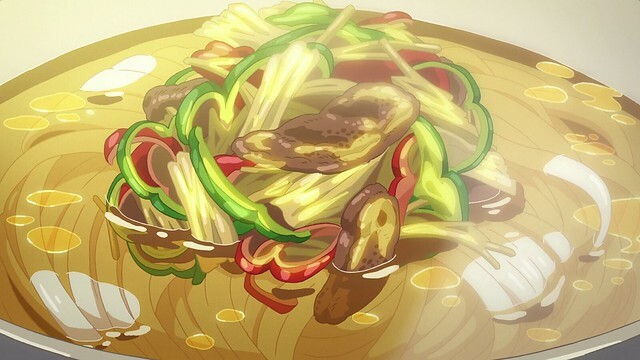 Sunny Breakfast is an ode to the San Xian noodles (三鮮麵, jyutping saam1 sin1 min6): noodles are as widespread as rice in China, and the importance of food in Chinese culture is such that asking if one’s eaten (“你食咗飯未呀?”, jyutping “nei5 sik6 zo2 faan6 mei6 aa1”) is a common salutation amongst Cantonese speakers. Far beyond a means of sustenance, the preparation and sharing of meals is a core part of our culture, with eating together being a big deal for the Chinese. It is not uncommon to spend hours for people to spend time at the dinner table, partaking in food and conversation, so while it may seem excessive for Xiao Ming to describe San Xian noodles in such detail, the truth of the matter is that the Chinese greatly value food, the inventiveness of making use of anything available to cook, and sharing time together as a result of meals. In A Small Fashion Show, family is core: traditionally, families figured prominently in Chinese culture, with youth raising their families and looking after their parents. However, with the rapid industrialisation of China, and with more people seeking higher education and stable careers, traditional values are upheld with less frequency as people focus on their work and a good income. 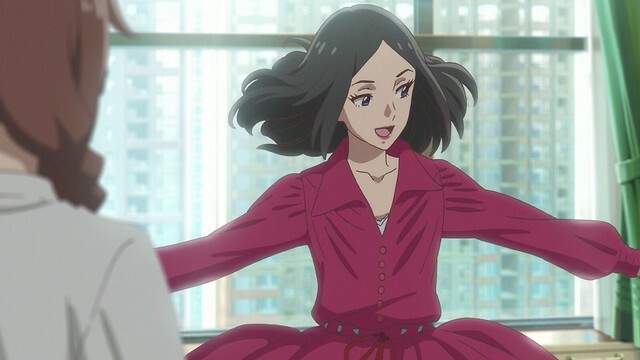 Yi Lin is a model trying to hold onto both – a part of Chinese culture is that there are more expectations placed on the older siblings, and Yi Lin initially struggles to be the responsible older sister for Lulu, but the competitiveness of her occupation makes it difficult to keep up. 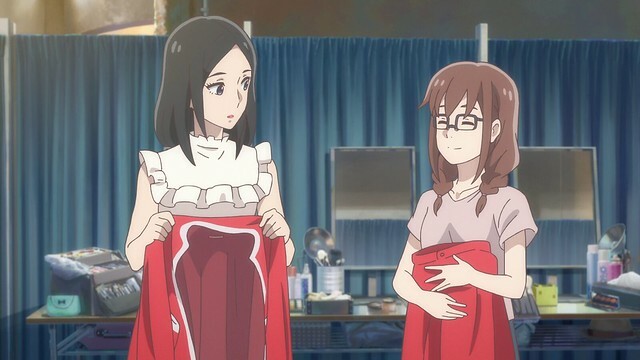 In the end, it is a creative and inventive solution that Lulu helps Yi Lin see, that allows her to strike a balance between making it as a model and also being a good older sister for Lulu, showing that a merger of traditional and new ways is the norm as the Chinese continue to advance. Finally, Love in Shanghai deals with notions of parental expectations and collectivism versus individualism. Seemingly a story about separation and reunion, the “love” in Love in Shanghai also refers to love for a career path and a dream. While longing to run his own inn, looking after the small details and the happiness of those around him, Limo follows a more traditional path, studying hard to gain admittance into good schools in preparation for a corporate job that he’s unable to fit into. The Chinese are rather (and perhaps unfortunately) well known for its focus on high grades and higher education – parents, having seen the power of education and the potential career stability it may bring, push their children to excel in school. This creates a culture where rote memorisation and test taking is valued above creative thinking and ingenuity. Successful individuals may not be happy, and it is the case where this drive to be the best places extreme stress on students. Limo is able to succeed with his education but works in a career at odds with his own interests. His first love, to run an inn, is rediscovered, and Limo is able to do something that seems quite easy for North Americans: he ends up following his dreams with the right spark. I mentioned earlier that I am Cantonese Chinese, but my parents ended up imbibing Canadian values into my upbringing – at a young age, my parents emphasised that effort and the determination to do well matters more than the result itself. So as long as I gave an honest effort into what I did, the results would follow if it were something I enjoyed doing. As such, I never had the pressure of needing to score perfect on everything I did and was free to discover what I enjoyed doing. At the same time, my parents stressed finding something that I could make a career out of while at once doing it – when my aspirations for going into medicine shifted, they accepted my decision for going into software so as long as I could make it work. Finding the middle of the road between traditional and contemporary approaches in education and careers is something that the older generation still struggle with; in a world that is ever-changing, I feel that, again, striking a balance between the old and new will be essential in raising a generation of forward-thinkers ready to handle whatever the world throws at them. Reception towards Flavours of Youth have been polar opposites – either viewers will like this film, or they will not. 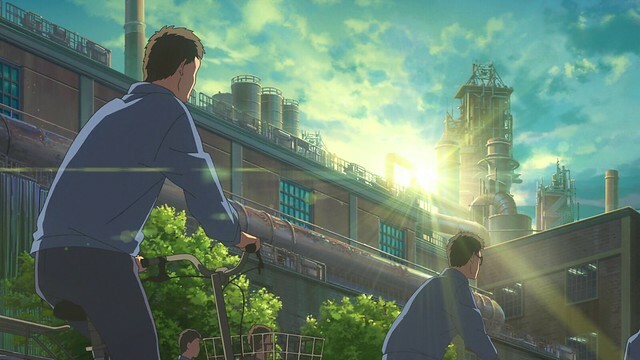 Right from the start, I will note that Flavours of Youth is not the place for a cohesive, life-changing narrative about anything in particular. 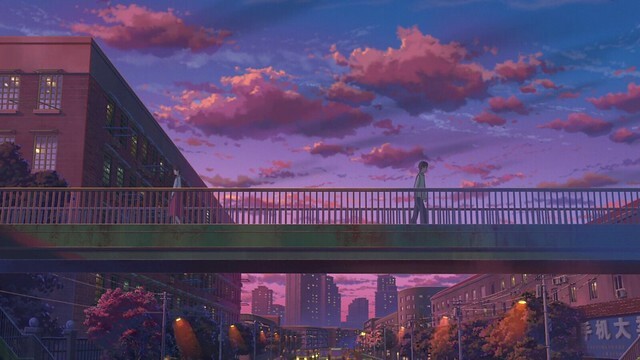 It is a series of snapshots, momentary glimpses into a world that audiences rarely see, and as such, one should not enter the film with the expectations that they will see a Makoto Shinkai-style love story. For this post, I’ve gone above the usual standard number of screenshots, and feature a grand total of sixty images from the movie. Further to this, I’ve included the jyutping pronunciations for everything in this post to give readers an idea of how to read everything in Cantonese. 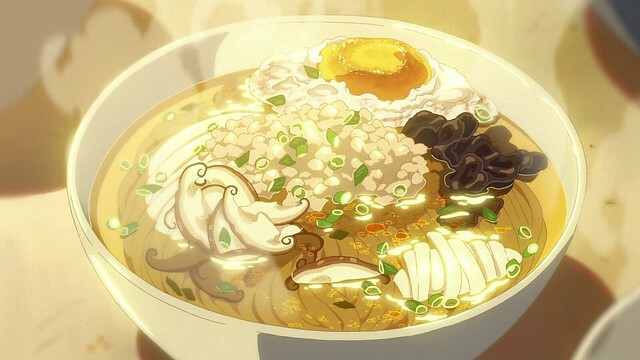 Like Makoto Shinkai’s films, there are a large number of highly spectacular moments in Flavours of Youth, whether they be landscapes, such as the rice paddies of Hunan province here, or closeups of common everyday items, such as the richly depicted bowl of San Xian noodles above: every detail, from the fried egg, to the pork, seaweed and shiitake (冬菇, jyutping dung1 gu1), is shown vividly. Xiao Ming is the central character of the first act. The story is told from his perspective: he is precise and detail-oriented, poetically describing his favourite noodles and memories in his youth. For anyone who studied Chinese, they will immediately be familiar with the name Xiao Ming, which is akin to “John Doe” in English with respect to usage. 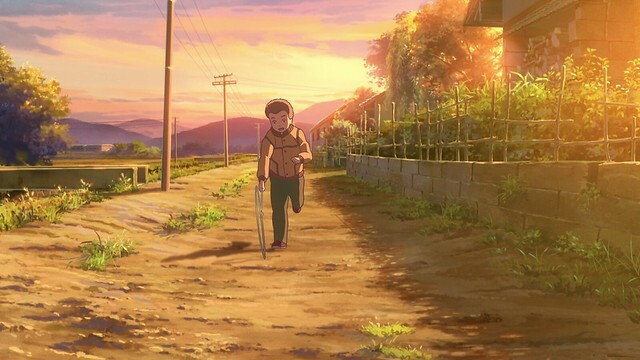 Before diving any further into Flavours of Youth, I remark that Netflix spells “flavours” with the American spelling, Flavors of Youth, but I retain the Canadian spelling by muscle memory. In order to make this post visible to search engines, which I am guessing will be aggregating the film by American spelling, I make it a deliberate point to mention the original American spelling. 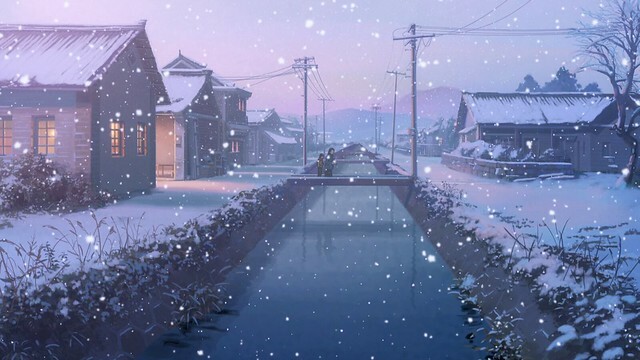 The Chinese countryside is not a setting that is often depicted in fiction outside of Chinese dramas and epic films: smaller villages remain as they have since the Qing or even Ming Dynasty, and here, snow falls over Xiao Ming’s home village. Because of its humid, subtropical climate, it is generally quite warm in Hunan, although there are four distinct seasons, and winters are surprisingly cold: snow is not uncommon, so seeing snow fall in Xiao Ming’s village is not implausible. Hunan province is so-called for being literally south of Lake Dongting. Being the seventh-most populated province in China, and tenth largest, Hunan is strategically located on the Yangtze River and its warm climate is conducive towards agriculture – Hunan’s grain production was historically high, and this is why wheat noodles are such a staple of the area. Despite a few peasant uprisings in its history, Hunan remained relatively peaceful until the Qing dynasty collapsed. One aspect of life that Xiao Ming notices changing around him are the noodles: as he grows older, and spends more time away from home, he feels that the craftsmanship that goes into each bowl of noodles is lessened. This is a consequence of the fact that Xiao Ming fondly remembers the time spent with his grandmother. 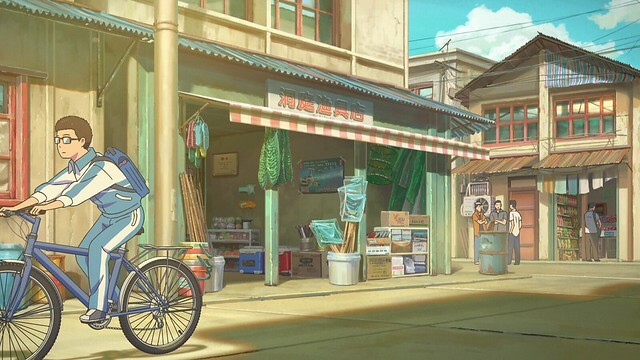 Rather than the food itself, the taste of the food reminds him of specific, happy moments in his childhood, and this is why things seem to be diminishing with time, as Xiao Ming becomes busier. The operative word here is “seem” – in his monologues, Xiao Ming mentions that the noodles themselves aren’t necessarily bad, just different. 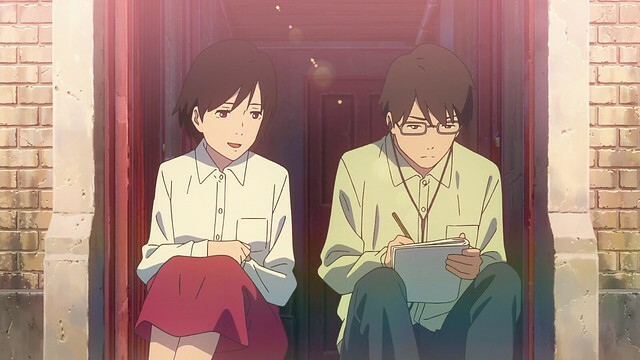 Love stories are subtly present in each act of Flavours of Youth, although they are so fleeting that they might better be characterised as a tertiary aspect: each protagonist deals with their feelings of love slightly differently, but it never becomes so persuasive as to define their narrative. 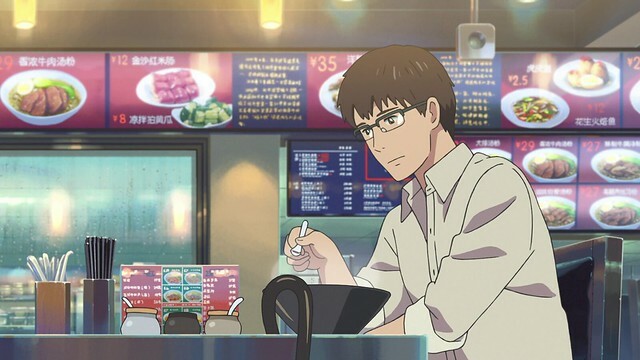 Xiao Ming develops a bit of a crush on a girl with short, brown hair that passes by the noodle shop he frequents every morning, although neither make an effort to talk to one another. Many potential romances come and go in life: it’s possible to develop a bit of a crush on someone without ever feeling compelled to act on these feelings. I note that while I enjoyed Flavours of Youth, there are many who find the film quite unwatchable. The reason why this is the case is simply because Flavours of Youth takes a highly unstructured, fragmented approach to its stories. It is trying to capture instances in the lives of three individuals, and as such, moments are disjointed, disorganised. 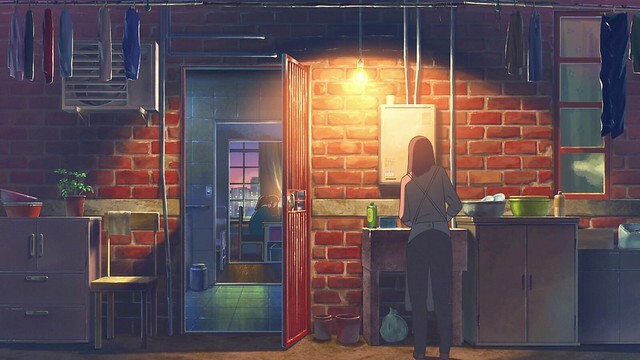 While not particularly conducive for a moving narrative as Five Centimeters per Second, which took three milestones and presented them in a structured manner, the approach taken in Flavours of Youth is meant to suggest the idea that life’s moments can be fleeting and unorganised. It is contrary to what makes stories rewarding to watch, since one cannot empathise readily with the protagonist by seeing the situations they find themselves in. Because Hunan is the birthplace of Mao Zedong, Chairman of the Chinese Communist Party until his death in September 1976, Hunan openly supported his policies and the Cultural Revolution. I consider the Cultural Revolution one of the worst calamities China has faced in its history, surpassing even the tragedies of the Second Sino-Japanese War. Mao’s lack of understanding in disciplines from industry to agriculture, meant that under his rule, China suffered: more people died in the famines resulting from the Great Leap Forwards and the Cultural Revolution than were killed during the Second Sino-Japanese War, and it was not until Deng Xiaoping’s economic reforms that China really began to recover. In the present day, Xiao Ming eats a bowl of noodles at a chain shop. Food eaten hastily alone is unmemorable: this is the consequence of living a high-paced life, and the comparison Xiao Ming strikes is meant to say that shifting values in China means that living in the moment and savouring something is slowly being lost. I get being in a hurry: when I’m in the need of something to keep me from keeling over, I won’t give much thought as to what I eat. However, when the moment allows it, I will savour what I eat, whether I’m eating on my own or with others. Grievances about the film’s ability to capture Chinese culture, on the other hand, is not so easily justified – I count myself as being quite connected to Chinese culture despite my upbringing in Canada, and I find that many Chinese Canadians are quite disconnected from subtleties of their Chinese heritage. As such, when someone attempts to pass the film off as “forced drama, emotional manipulation, mindnumbing[sic] boredom, and…cheap shock factor”, I am inclined to think that such individuals lack any real understanding of what Flavours of Youth aims to convey, have no interest in Chinese culture as a whole and are instead, spewing negativity for the sake of sounding more relevant than they are. One thing should be for apparent: Flavours of Youth is most certainly not a waste of time as some purport. 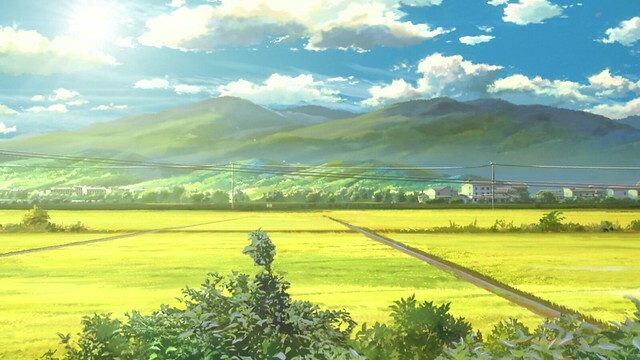 We’ve seen the inaka, the Japanese countryside, countless times in anime, so to see the Chinese countryside in the quality of a Makoto Shinkai film was quite enjoyable. 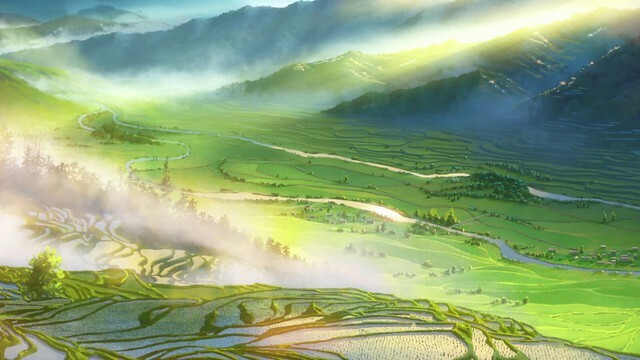 The Chinese countryside is truly vast, and has a distinctly different feel than that of the inaka as seen in anime. 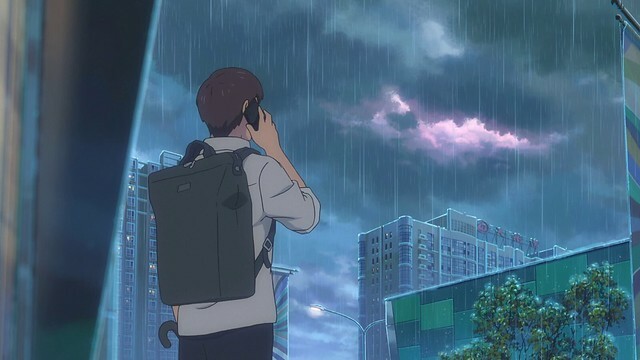 Here, after Xiao Ming receives word that his grandmother’s health is failing, he rushes back to his home town to see her. Flights between Beijing and Hunan take roughly two-and-a-half hours, similarly to the flight time between Calgary and Denver. Xiao Ming arrives home to find it more or less as it always had been. While the urban centres of China have dramatically changed in the past two decades and matching the West in sophistication, the countryside appears to have been left behind by the times. Electricity and running water are not universal, and villages may look as they did during the Qing Dynasty. The vast size of China has made modernisation difficult, although in recent years, the government has invested in agriculture and rural infrastructure with the aim of improving opportunity in rural China. I find it disingenuous to pass off the comings and goings of life as “forced drama” – it pre-supposes that only some stories are worth telling, and disregards the fact that everyone will experience challenges and successes in their life. For Xiao Ming, his challenge comes when his grandmother dies in old age. Death is a natural part of life, and I do not see Sunny Breakfast as using death for drama: instead, it is presented as an occurrence, an instrument of change, in Xiao Ming’s life. As it stands, the interpretation here is more appropriate for Flavours of Youth – Xiao Ming mentins that time will heal the wounds, and he finds renewed happiness in eating a bowl of San Xian noodles while eyeing another girl in the area. Things invariably change, but other things remain the same, and with this, the first act to Flavours of Youth comes to an end. The second act, A Small Fashion Show, is set in Guangzhou, which has a population of 14.5 million people as of 2017. Located in the southern Chinese province of Guangdong, Guangzhou is, together with Shenzhen, Dongguan, Foshan and Zhongshan, part of the Pearl River Delta megalopolis, which has a total of 44 million people. Located just north of Hong Kong, the ultra-modern, sleek and vast Guangzhou has played a major role in modern Chinese history, being the site of foreign trade. 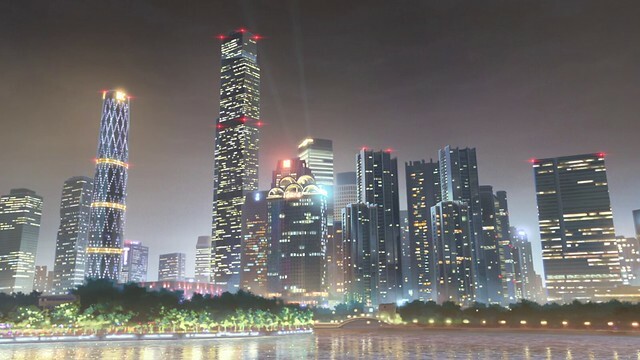 The majority of Guangzhou’s residents are Cantonese Chinese, although their reduced contact with the Western world compared to the likes of Hong Kong means that their Cantonese is noticeably different than the Hong Kong variety. 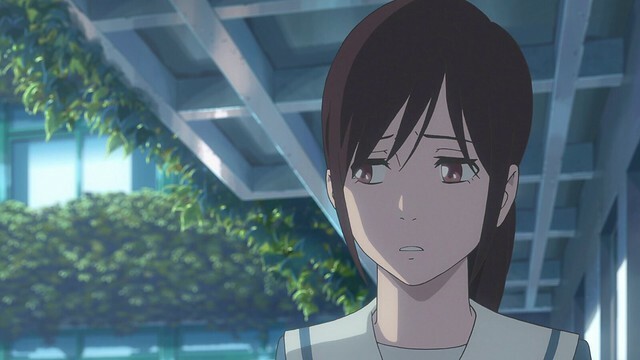 I watched Flavours of Youth in Mandarin – since I could catch some of it, I concluded that it was probably Taiwanese Mandarin, which I have the least trouble understanding of all the different varieties of Mandarin. Having said this, if I were to watch Flavours of Youth in a completely authentic environment, then Sunny Breakfast would have everyone speaking Mainland Chinese (Putonghua), Love in Shanghai would see Limo and Xiao Yu speaking Shanghaiese, and Yi Lin and Lulu of A Small Fashion Show would speak Cantonese. Of all the acts, then, A Small Fashion Show would be the one where I would not need any subtitles at all to understand: despite minor differences in colloquial Cantonese with respect to slang and the like, Guangzhou and Hong Kong Cantonese are the same (similar to differences between American and British English). Tall, slender and beautiful, Yi Lin is a model working in Guangzhou. With much sharper facial features than other characters, there’s no doubt that Yi Lin is supposed to be a model. 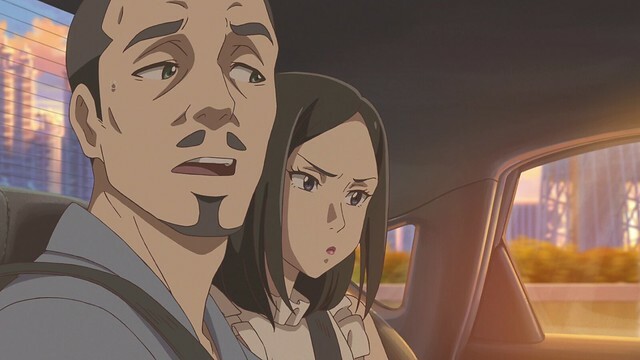 One challenge in anime is the portrayal of above-average looking characters: since a lot of imperfections seen in real people are eliminated, all characters tend to look quite similar. 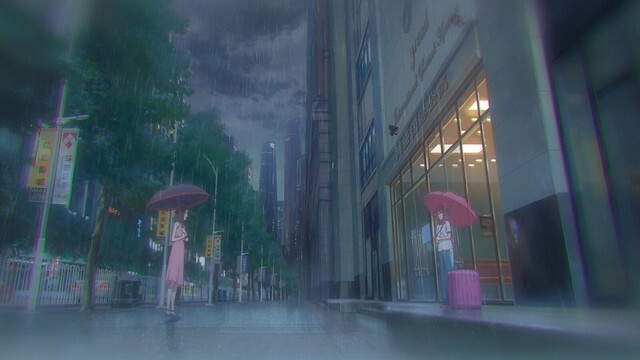 As such, animated characters must count on exposition and interactions with other characters to convey beauty (or the lack thereof), when the visuals themselves alone cannot fully convey this. 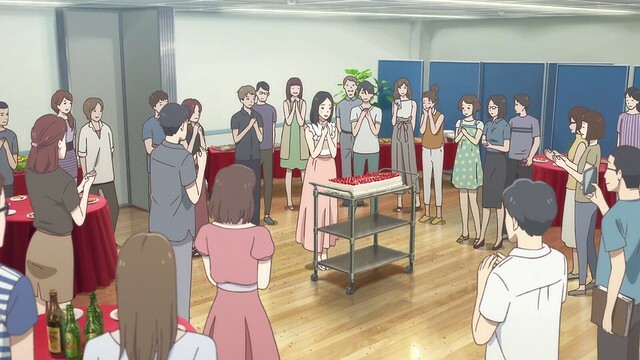 Yi Lin celebrates her birthday with her coworkers: she’s presented as having a sharp tongue and is quite mindful of those around her, but is never seen as being arrogant or conceited. With this being said, Yi Lin is very much into her career, and so, when she celebrates here, the scene shifts momentarily to back home, where Lulu, her younger sister, is waiting for her with a home-made cake. Yi Lin suddenly remembers her promise to be with Lulu, whose patience has run out. When a man that Yi Lin appears to hold feelings for introduces her to a younger model and remarks that this new, younger model might just be what the market is looking for, Yi Lin’s confidence takes a hit. Modelling is a highly difficult, arduous career: requiring not only a very particular set of skills, but also exceptional attention paid to one’s appearance. There are some aspects of one’s appearance that simply cannot be overcome, such as aging, and so, one might no longer be suited for modelling even if their skills remain intact. This is a very sobering thought, and acts as a constant reminder that each and every occupation has its own enjoyable aspects and drawbacks. When Yi Lin is faced with this prospect, she grows frustrated and downs an entire glass of red wine. Returning home hammered, Yi Lin shares dinner with Lulu and her manager, Steve. Yi Lin is a lot more casual at home, and Steve remarks that this is an unexpected side of her he’d previously not seen. Lulu is still a student and has a profound interest in fashion design. It is clear that the two sisters are very close – Lulu is quite understanding of the difficulties that Yi Lin faces, being very patient of Yi Lin’s more unruly, lazy side and doing her best to support her nonetheless. The next morning, the linger effects of a hangover results in Yi Lin very nearly being late for work. Yi Lin explains to audiences that she wants to both be successful in her career and simultaneously be a reliable, respectable older sister for Lulu. This want for everything places a tremendous amount of pressure on her, but it also shows that Yi Lin is very ambitious and committed to the things that drive her. As a consequence, I do not feel that greedy, at least in English, is the most appropriate term to describe Yi Lin. Here, Steve and Li Yin share a conversation after Yi Lin fails an audition. Steve decides to slot Yi Lin into another show, and also relays a message from Lulu. 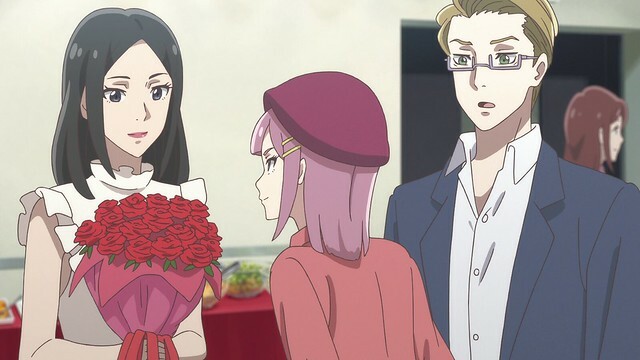 Remarking that Lulu’s asking him because she doesn’t answer, the moment also reveals that Yi Lin’s bothered by her job to a nontrivial extent. With thoughts of growing too old to model on her mind, Yi Lin’s eating habits begin to shift, as well, foreshadowing the agent of change in Yi Lin’s life. I remarked earlier that I was abroad for software development work, which is why this week’s Harukana Receive post is a little delayed. I’m a little surprised at how quickly this week’s passed by, and while it’s been very busy, I’m also forcing myself to slow back down outside of work hours to regroup. Besides exercising and gaming, one of my favourite ways of unwinding is to enjoy my meals: I haven’t lifted or opened an FPS all week, but I did have a chance to try the food of Denver. My first evening, I sat down to a crunchy and tasty tonkatsu with rice, tempura and California rolls. On evening two, I had a three course meal, with crab-stuffed swordfish and blackened prawns as the entrée. I’ve not had swordfish in quite some time; it’s got a sweet and slightly oily flavour to it that proved enjoyable. Finally, on my final evening, I had a Mexican-style steak with beans, lettuce, tomatoes and rice. This was absolutely delicious, being an explosion of flavours. I suppose that with all three of my dinners having rice in it, I must be subconsciously missing home. Having a good meal is a major morale booster for me, and having something to look forwards to allows me to focus and regroup to face the tasks of what the next day entails. On more ordinary evenings back home, I usually game or watch movies, but I will note that unlike Li Yin, who seems to find horror amusing, I never watch horror movies if I can help it. I relate to each of the Flavours of Youth stories in a unique way, in part because of my heritage and in part because I empathise with the shows that I watch. I get the importance of food as seen in Sunny Breakfast, appreciate the work-life balance shown in A Small Fashion Show, and later, in Love in Shanghai, I vividly recall my own experiences as a student, pushing to both realise a future, work towards a dream and pursue romance where I could. Of course, my own stories here can only be “how not to do it” – there are no happy endings so far. When Yi Lin finds that a fellow she seemed interested in is going out with the younger model, her world shatters. Romance can end, or never reach the starting point without anything being said, and whether it be through seeing it happen in real life or from behind a screen, no words can describe how much such moments hurt. It would seem strange, even contrived that I can draw so many parallels between my own experiences and what is seen in Flavours of Youth, one may feel. However, my experiences predate Flavours of Youth, and I should note that this is a consequence of living, being mindful of one’s surroundings and being appreciative of the small things in life. I’ve never visited Guangzhou before, but I’ve been to Hong Kong frequently, and every time I visit, it’s like a completely different city. With this being said, I would love to visit Guangzhou at some point: it is even busier and glitzier than Hong Kong, although because Cantonese is the de facto main language, I expect that I should not have too much trouble getting around (minus the fact that my slang might be a little difficult to get). I’ve long felt Hong Kong to be a second home, feeling very familiar even though it is a world apart from the wide open spaces and laid-back feeling that is Calgary, Alberta. 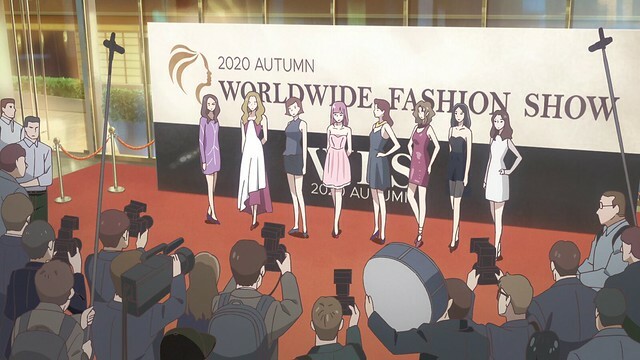 The desire to remain competitive forces Yi Lin to extreme measures to keep her figure within a certain standard, and Flavours of Youth implicitly shows that Yi Lin may have a mild eating disorder: she is seen forgoing meals and during a fashion event, collapses on the catwalk after exiting a bathroom visibly weakened. Refusing to yield to the younger model, Yi Lin stubbornly decides to go forward and the sum of her stress, exhaustion and inadequate nutrition catch up to her. Every occupation has its own unique hazards; while those living a sheltered existence and have limited exposure to the real world might call it “forced drama”, I counter that Flavours of Youth‘s second act also is meant to show the effects of overworking and overexertion in a highly visceral manner. 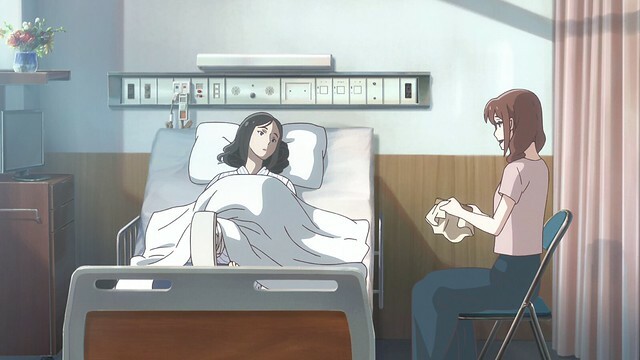 Yi Lin’s collapse and admission to hospital forces her to re-evaluate her priorities, and she begins wondering whether or not modelling is a career she can continue to do. I’m certain that many people out there have wondered at some point in their careers, as to whether or not what they were doing was right for them. I’m still considered young by all counts, and I absolutely love software development and engineering, but even I have the odd moment or two where I wonder if this is a career I can continue to do for the decades upcoming. Just this week, I was sent out to Denver for work. The end goal is to deploy a project, which is something I am comfortable with, and while the week was very productive, there were a few points in the past week where I looked in the mirror and asked myself, “what did I get myself into?”. When Yi Lin considers doing what Lulu is doing for a career, Lulu responds negatively, feeling that Yi Lin is giving up her own career on whim and at the same time, is diminishing her own aspirations. 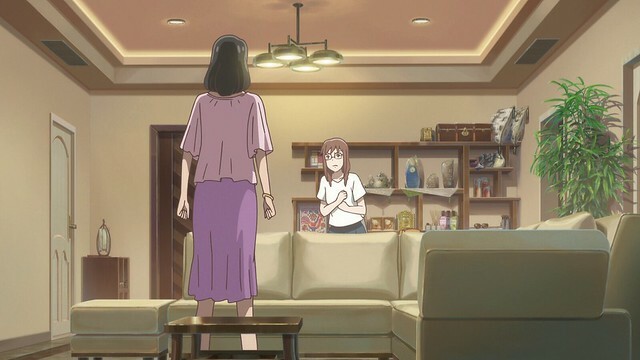 All siblings fight from time to time, and after Lulu storms out, Yi Lin comes across one of Lulu’s sketches of a dress. She realises here that Lulu is very serious about being a fashion designer. The next day, she talks to Steve about the fight, and Steve is relieved, saying that Li Yin’s at least recovered, if she can summon the energy to have a fight with Lulu. As far as careers go, having a good team and mentor in one’s corner goes a very long way. Having people to confide in, or even gripe to, sometimes is all it takes for one to put things in perspective, and often, I will voice doubts out loud simply to get them out in the open. For instance, I am very unfamiliar with implementing user interfaces, much less in an environment I’ve never used before, but after outlining this in my reports, I feel as though, provided I can finish other goals and put in an honest effort to learn to do the basics, things might not be so bad. Similarly, Yi Lin is convinced to see if modelling is something she will continue with when Steve asks her to meet him at a warehouse later. 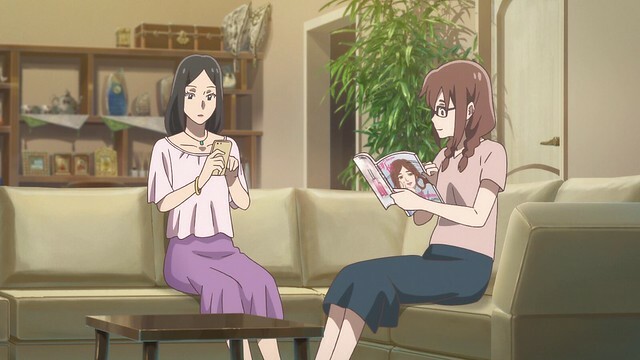 It turns out that Lulu’s crafted the dresses that Yi Lin remembers from their youth: their parents are implied to have passed away by this point, explaining why Yi Lin pushes herself so hard for Lulu’s sake. 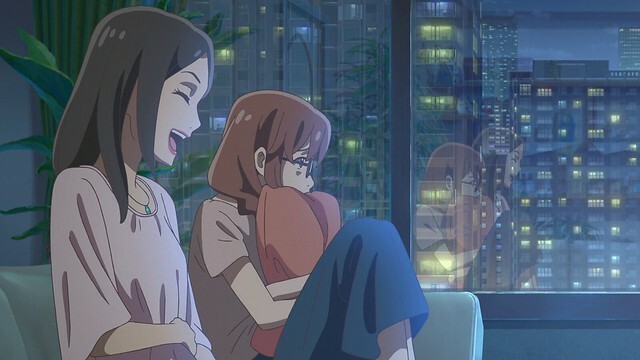 The reason why “forced drama” is not a valid criticism for Flavours of Youth is because real life encompasses so much, and that people have a wide spectrum of experiences, that the events seen in Flavours of Youth can hardly be said to be implausible. Instead, what I see in A Small Fashion Show is a journey of rediscovery, one that gives Yi Lin a newfound perspective on her life and career. Sometimes, it takes extreme examples for people to see problems differently, and what Yi Lin goes through is not particularly outrageous. By the end of A Small Love Story, Yi Lin and Lulu have found their new equilibrium: with Lulu designing clothes and Yi Lin modelling them, the siblings have discovered the balance that allows them to enjoy one another’s company and concentrate on their careers. 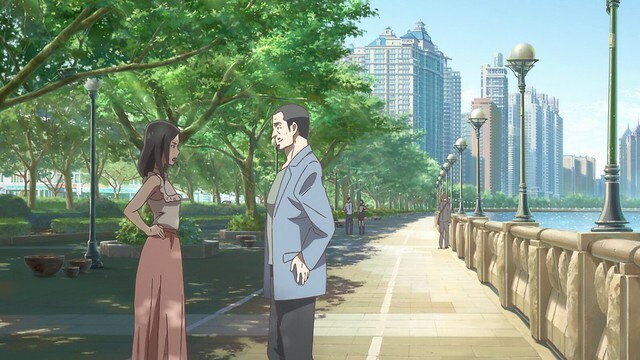 It’s a satisfying ending that shows that even in the high-paced world that is Guangzhou, a middle way can indeed be found, if individuals are willing to compromise and keep their eyes open. 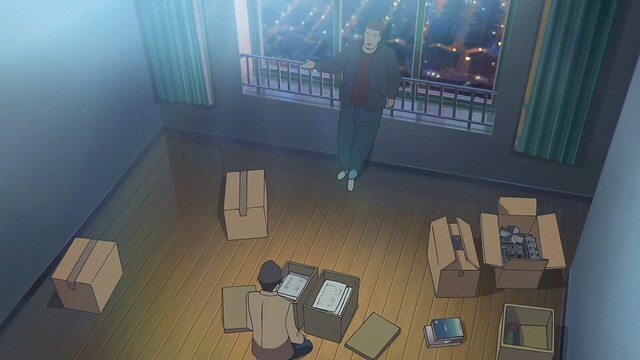 We now enter the final act of Flavours of Youth, which sees Limo moving out of his parents’ apartment to an apartment of his own, overlooking an old district in Shanghai. In a flashback, Limo is performing poorly at work, with his concepts rejected as being too unsuited for the current market. The stresses of work negatively impacts his temperament, and he snaps during a conversation with his parents. I am guilty of this on occasion, too, and one of my personal goals is to always find a way to relieve my stress without making someone else’s day a bad day. To this end, I usually aim to leave work at work, and crack bad jokes often to lighten up. 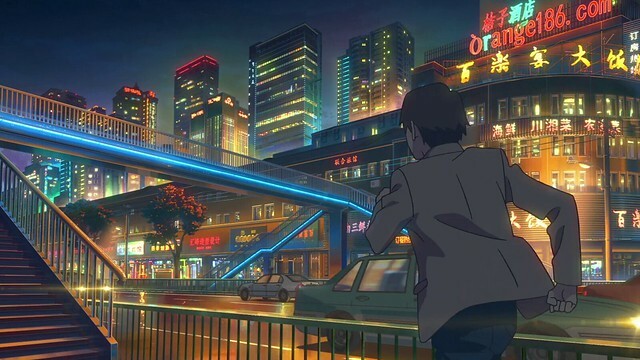 Limo runs through the streets of Shanghai towards the old town, where his grandparents lived, after discovering an old tape containing messages from an old friend and love interest. On the day that I went through Flavours of Youth to gather screenshots, I was also packing to go on this excursion, and was listening to the song, 上海灘 (jyutping soeng5 hoi2 taan1, literally “Shanghai Beach” and translated to “The Bund”), in the process. The song expresses that everything is transient, and that things troubling people, like success, failure, love and hatred, are all temporal, being washed away with the waves of time. It is a very famous song, and back in 2010, while visiting Shanghai, I heard the song being blasted on loudspeakers while I was eating 小籠包 (jyutping siu2 lung4 baau1, steamed buns famous in Shanghai) on a shop located in The Bund. Of the three acts in Flavours of Youth, Love in Shanghai has the greatest emphasis on romance. In his youth, Limo had a crush on Xiao Yu, who reciprocated his feelings. Together with Pan, the three friends spend their days peacefully together. In this scene, the subtleties of using cassette players are shown: tapes are notorious for unravelling like this, and it takes patience to wind them back together. 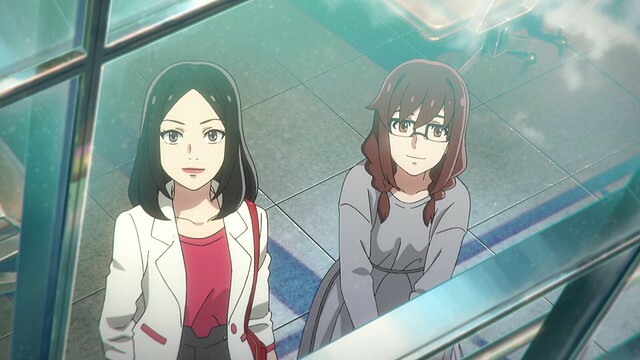 Xiao Yu (literally “Little Rain”) resembles Makoto Shinkai’s earlier female protagonists, being very pure of heart and kind in disposition, while Pan reminds me of Tessie from Your Name. Bikes are everywhere in China, and their presence in China dates back to the 1890s. 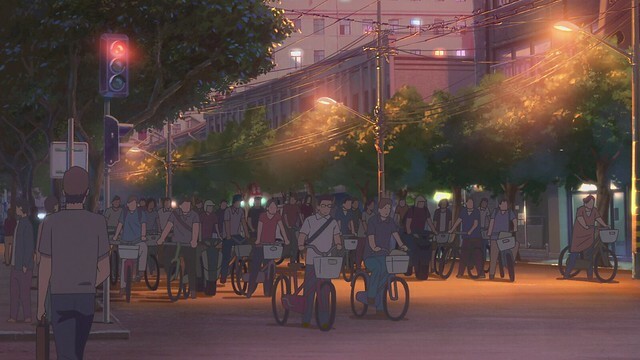 An inexpensive means of getting around quickly, their popularity took off, and the use of bikes soared when factories began manufacturing bikes as a result of the Communist Government’s degree that bikes were to become the choice of transport for the masses. The mode of transportation is effective in most places in China, but back home, the cold weather and car-centric cities means that cyclists often have a tough time getting around: between icy conditions for over half the year and roads ill-suited for bikes, I simultaneously feel bad for cyclists and wish that they would stop occupying the roads that I am driving on. While Limo is familiar with every crack and protruding brick in the sidewalk surrounding his home, Xiao Yu is less versed and hurts herself, prompting Limo to carry her. As the third act progresses, it becomes clear that of the three friends, Xiao Yu is the most studious, although Limo himself is no slouch, either. By comparison, Pan is a bit more carefree in nature. 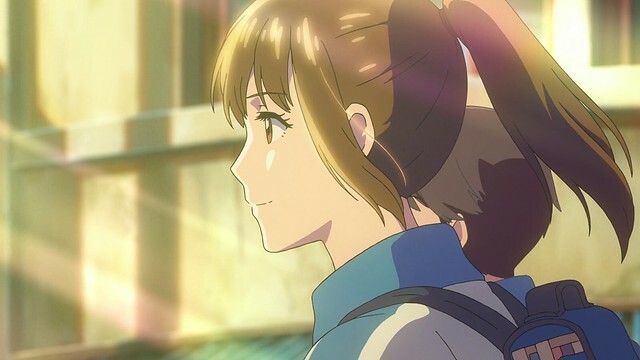 However, Xiao Yu also has a more playful side to her character: unlike Akari of Five Centimeters per Second, who exuded an ethereal presence, Xiao Yu is shown to be more multi-dimensional. Calendars with 福 (jyutping fuk1, “blessing” or “good luck”) written at the top are very commonplace in China, and I say with confidence that many Chinese families will have at least one of these calendars in their homes. 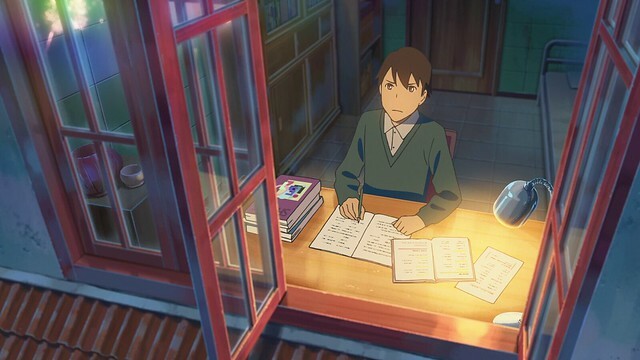 Here, Xiao Yu studies as the evening light fades; watching Love in Shanghai brings back many memories for me, and although it’s been quite some time since I’ve actually sat down and studied for an exam properly, the process remains quite fresh in my mind. Of all the exams I’ve done, the most difficult remains the MCAT: I gave up an entire summer to study for it, with the aim of getting into medicine, and considering that I ended up choosing software development over medicine, I occasionally wonder if the MCAT was little more than a waste of money. With this being said, taking the MCAT did impart on me a unique approach in test-taking, and in the years following, I studied for written exams much more effectively. In addition, having scored what would be today’s 517, which isn’t terrible, I do suppose that it’s one more conversation topic that I may bring up for fun. The troubles that affect Limo and Xiao Yu seem a world away now that I am the age that I am. Looking back, I have no regrets about all of the various experiences and accomplishments to my name during my time as a student save one: that I did not attempt to pursue a relationship with the same intensity and focus that I have everything else that I’d done. 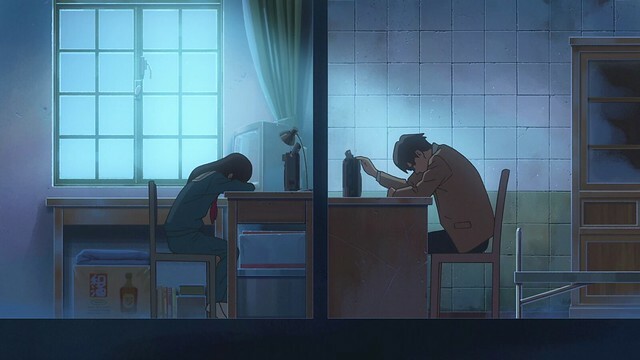 I typically manage fine on my own, preferring to solve my own problems and divulging little about the things that trouble me to others, but at the same time, I wonder what it would be like to have someone to lean onto, and someone who can rely on me, as well. Limo’s parents are rather strict, wondering if it’s plausible for him to get into the same high school as Xiao Yu. Limo thus resolves to study his best with the aim of following her, although when asked, he flatly states that he wants to push his limits and see what is possible. This is how I’ve long lived my life: I wonder what the furthest that an honest effort can take me is, and this is why I always strive to give it my all, regardless of how challenging some things are. The outcomes of this way of living are reasonably straightforwards – either I fail and learn something in the process, or I succeed and pleasantly surprise myself. For her efforts, Xiao Yu ends up failing her entrance exam and earns herself a beating. While audiences are left to wonder what really happened, it is implied that, not knowing the path that Limo was taking, Xiao Yu deliberately fell short so that she could remain with him. Romance stories always present this as admirable, but in reality, I consider it nothing short of folly to give up one’s own dreams and aspirations to pursue a romance that may or may not work out. It boils down to a simple matter of probability: if one works hard for their future, they will likely end up finding what they sought. If they pursue romance in its place, they may end up losing their partner and then be left worse for wear afterwards. Naturally, there are cases where people may succeed, but for me, lacking any finesse in the realm of romance, I am predisposed pursue my own future, first. 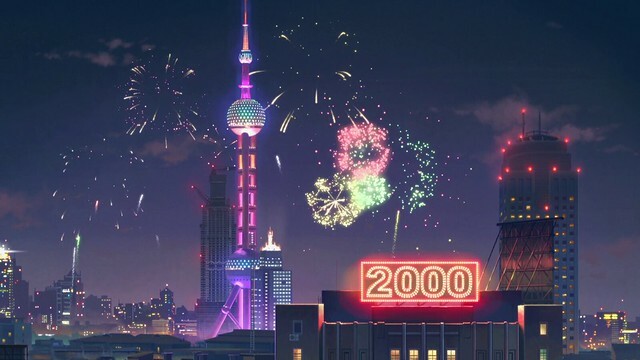 Flavours of Youth depicts the Oriental Pearl Tower during the fireworks heralding the start of a new millenium. This TV tower is a distinct part of the Pudong skyline adjacent to The Bund, and it was completed in 1994, remaining as the tallest building in Pudong until 2007, when the Shanghai World Financial Center Tower was completed. The Pudong New Area was formally established in 1993, and intended to be a financial hub. As a result, Pudong has since become the home of Shanghai’s most recognisable skyscrapers. Watching Limo study for his entrance exams amidst the New Year’s Eve Celebrations brings to mind my own studying for the MCAT. I still remember that one evening where I had opted to stay home and do a practise verbal reasoning section while the Stampede 100th Anniversary Fireworks were going in full force. I’m told that I missed the fireworks show of the century, and considering that the sum of my efforts was getting a 10 in verbal reasoning, I’m not too sure if it was worth missing the best fireworks that Calgary will likely see until the point where Canada turns 200. As time wears on, a distance grows between Xiao Yu and Limo; Xiao Yu’s path in life is depicted as being less clear than that of Limo’s, as a deliberate decision to show that Limo’s decided to focus on his future in full. A part of this transformation is seen when Xiao Yu remarks on Limo’s shiny new CD player: lacking the same romance as do cassettes, CDs are largely read-only media that can hold higher-quality sound files in an easier-to-access format, signifying his own intents to push towards the future. Xiao Yu and Limo see one another off after Xiao Yu visits, and this conversation was marked by a marked change in tone: whereas the two had been very close previously, there is a distinct distance and a sense of formality between the two at present. Shortly after, Xiao Yu leaves to study abroad, and a traffic jam means that Limo and Pan miss her departure. Construction on Shanghai’s Nanpu Bridge finished in 1991: with an overall length of some eight kilometers and a main span of 846 metres, Nanpu bridge is the fourth largest cable-stayed bridge in the world (it is eclipsed by Hong Kong’s Stonecutters Bridge, which holds the title of second-largest cable-stayed bridge in the world). 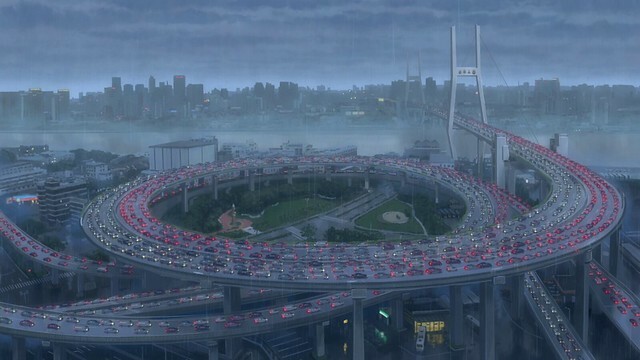 The most distinct feature about Nanpu bridge is a large spiral: owing to the surroundings, it was necessary to compact the approach road leading up to the bridge, and here, bumper-to-bumper traffic is depicted on the bridge in both directions. When Limo has a chance to listen to Xiao Yu’s final message, it turns out that Xiao Yu wanted to grow and stand out like a sunflower. 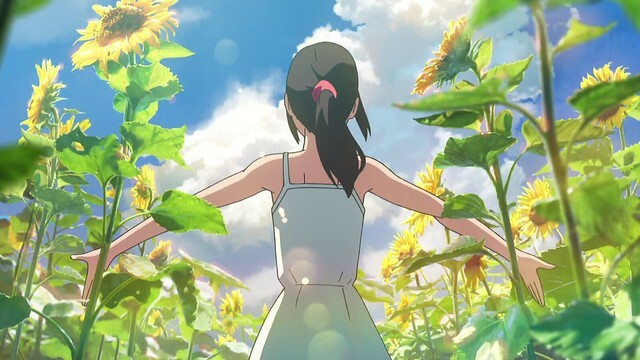 In his mind’s eye, Limo pictures Xiao Yu, in a dress of purest white, standing amongst a field of sunflowers stretching as far as the eye can see. As youth, it is important to have dreams and an intent to follow them – this much was missing from Limo’s life after his entry into high school, and ultimately, listening to Xiao Yu’s voice served to remind him of his original dream, to create a three-story house where he, Xiao Yu and Pan could spend their days together. In the time following, Limo had attempted to pursue his dream in a much more conventional manner, and so, experienced pushback because his dreams do not necessarily align with market forces. Both Xiao Yu and Limo find themselves in a world where their own dreams and aspirations do not align with the expectations of those around them. Limo realises this at the act’s climax, because Xiao Yu had expressed her feelings years earlier. Had Limo listened to Xiao Yu’s message earlier, he might’ve found his happiness a bit earlier, but an important message Flavours of Youth conveys is that it is never really too late to begin making one’s dreams a reality. Some time after his epithany, Limo has become the owner of an inn, the well-kept and beautiful three-story building of his original vision. Outside, a pot of sunflowers is seen, showing that he has not forgotten Xiao Yu’s words to him. I admit that sixty screenshots is far too few a space to adequately discuss every noteworthy moment in Flavours of Youth, but for brevity’s sake, I’ve cut out many moments to ensure that I could get this post out: blogging immediately after getting off a plane is not an easy task, so I’ve decided to keep this post relatively short. One day, after showing guests to their rooms, Limo comes face to face with Xiao Yu, who is in the area. From the looks of it, Limo’s inn is built in the same area that he once lived in, and although the area has changed, Limo has evidently adapted, making the most of the new while remembering the old. His inn is a sure sign of this, featuring traditional design elements and modern features, as well. Xiao Yu’s appearance at the end of the final act shows that because Limo acknowledges Xiao Yu’s contributions in helping him realise his dream, his gratitude is returned to him in a most pleasant manner. 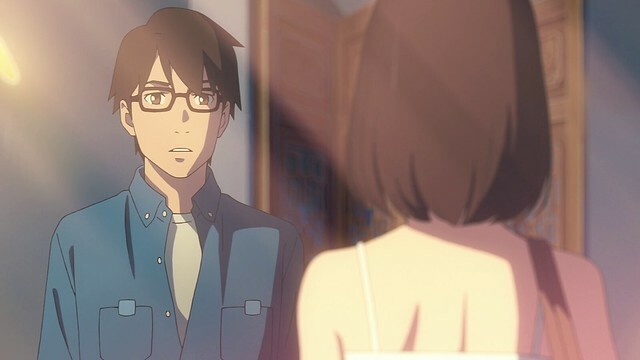 It’s a far cry from the messages of Five Centimeters per Second and is likely intended to show that “好心得好報” (jyutping hou2 sam1 dak1 hou2 bou3, literally “good heart results in good returns”, closely resembling the English phrase “what goes around comes around” in that kindness returns to the originator). 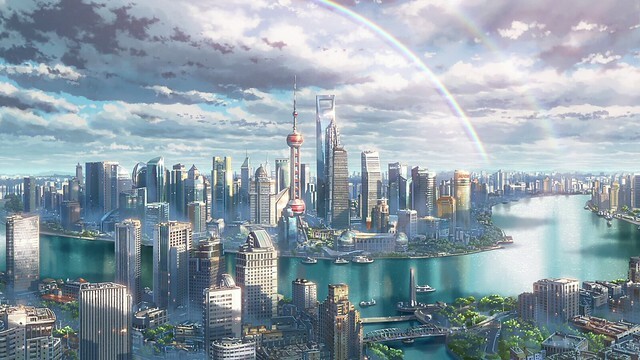 Flavours of Youth‘s final act shows The Bund and Pudong under a double rainbow, with sunshine breaking through the clouds after a rainfall to show a new start for Limo and Xiao Yu. 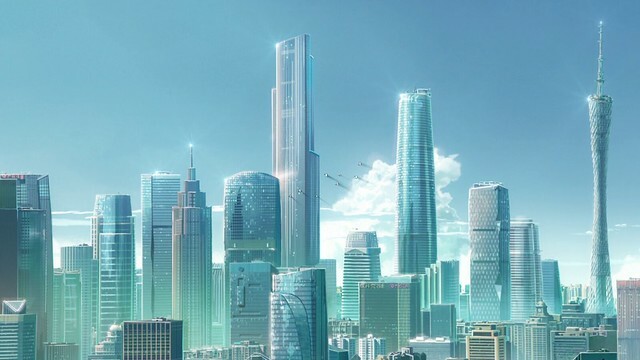 The skyline shown here is likely the Shanghai of 2007-2008: the Shanghai Tower, currently the tallest building in Pudong (with a height of 632 meters and began construction in November 2008), is not visible in this image. 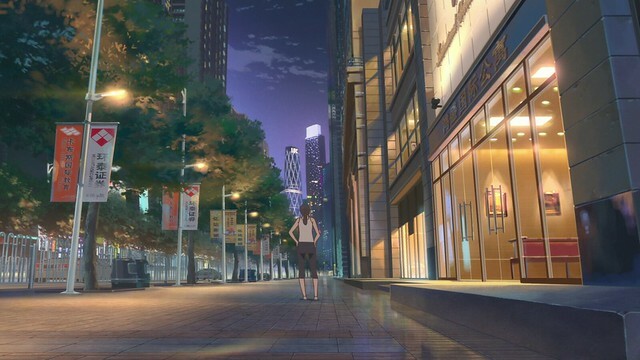 This is one of my favourite stills from Flavours of Youth, and on the whole, the cityscapes of Flavours of Youth are absolutely stunning. One wishes that the studio would do an authentic coming-of-age story set in Hong Kong. 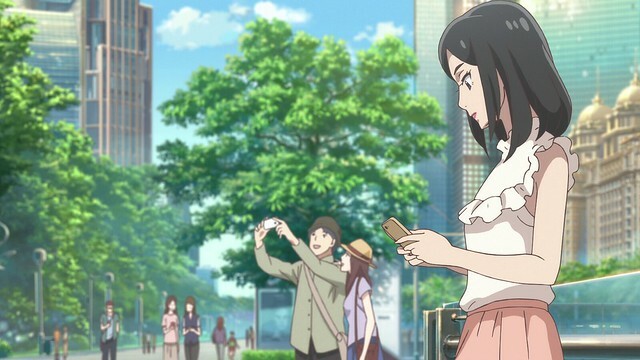 Flavours of Youth might be seen as being equivalent to a game made in the Frostbite Engine that isn’t part of the Battlefield franchise: while it has the same stunning visuals of a Comix Wave film, the narrative approach and themes are completely different. 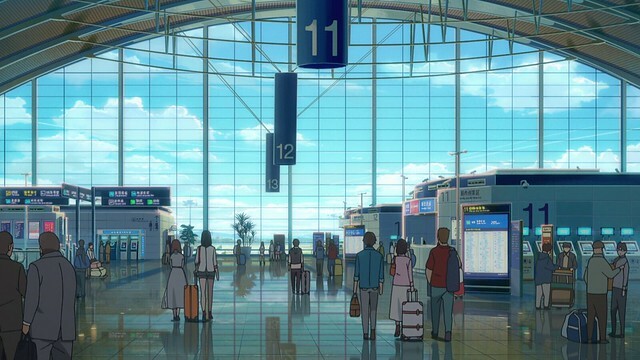 In the post-credits sequence, all of the central characters from each act are seen at Shanghai’s Pudong International Airport (known for its distinct interior), setting out on their own unique journeys. 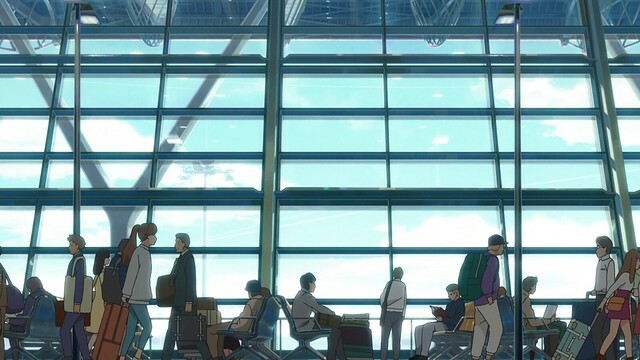 Each of the characters have found their happiness by this point in time and are gearing up to travel for an unknown destination. 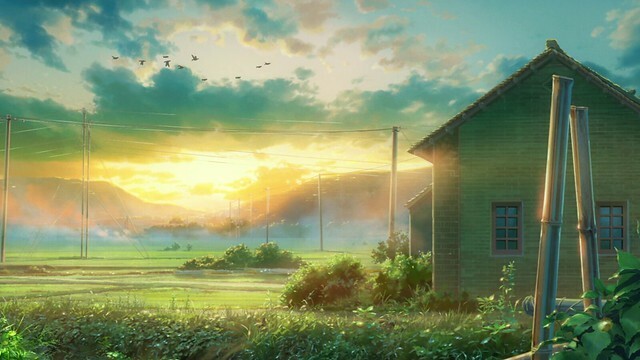 The precise nature of their destination is not known, nor is it important: no one knows what the future will bring, but for the present, what is important is that each of the characters have seized the moment and are seeking to make the most of the future, as well. It is actually quite amusing that I wrote out sections of this review while at the Denver International Airport – having cleared US Customs and eaten a light dinner, I was sitting at the gates, waiting to board my flight back home. I admit that I am not very fond of flying, but I do not take it for granted: it is still very much a luxury for its price (yes, even for economy-class tickets!) and so, it is an infrequent experience for me. Moreover, ever since I bought Patrick Smith’s Cockpit Confidential, my respect for all of the staff involved in making air travel possible, from the pilots themselves to the baggage handlers, increased ten-fold. 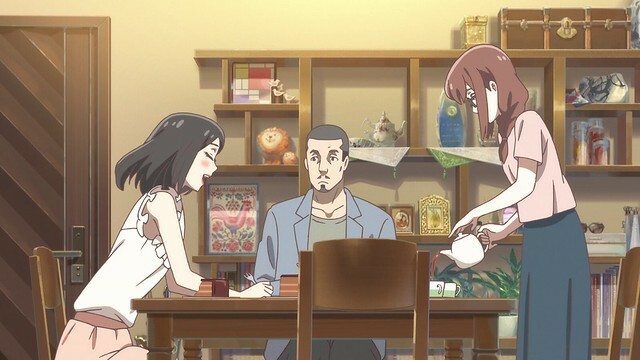 With Flavours of Youth in the books, I will be returning to my regularly-scheduled programming soon, and write about Harukana Receive‘s sixth episode on short order, with the aim of publishing it by no later than Sunday. 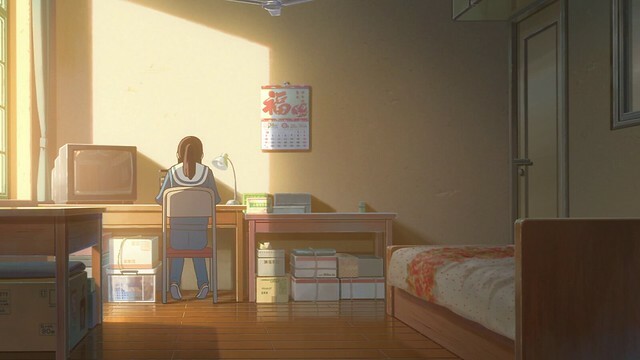 With my first week in Denver over, and my initial assessment of my assignment largely complete, my schedule is slowly falling into place: there will be periods upcoming where I simply won’t be able to get Harukana Receive posts out on the same day anymore. On top of the remaining Road to Battlefield V events and another Battlefield V closed alpha, August is outright insane, so blogging will have to happen when it does. For the present, however, it’s been one heck of a week, and my first priority, now that I’m back home, is to get some sleep. I think that, despite my delays in getting this discussion out, this particular Flavours of Youth talk remains the first on the ‘net to feature a sizeable collection of screenshots and moreover, a fair assessment of the film. Releasing on August 4, Flavours of Youth coincides with my favourite day of the year, and I watched it late in the day. It is my intent that with this discussion, I have covered some of the more subtle and out-of-the-way aspects about Flavours of Youth in my own way. Of course, these are merely my thoughts, and I’d love to hear what others thought of the film. Broken up, disjointed and inconsistent are words that very much describe Flavours of Youth – there is no denying that the lack of a single, cohesive narrative in Flavours of Youth make it quite unconventional as a film. However, this tumultuous set of stories also is a reminder of reality – although we prefer our stories to be structured, with a distinct exposition, rising action, climax and denouement, the truth is that our lives our chaotic, uncertain and mutable. 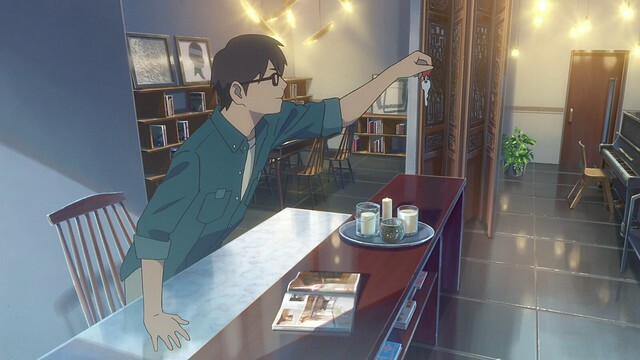 The strength of Flavours of Youth, then, is its ability to capture out and distill some moments in the lives of three different individuals, slow it down and encourage audiences to appreciate the small details and moments in our lives that can have dramatic impacts on what one does or becomes later. In short, it is a rather artistic film that resembles Momordica charantia, commonly known as the bitter melon. I helped my parents cook this unusual squash for the first time a few weeks ago, and they immediately told me that the bitter melon was a fantastic analogy for life: behind the melon’s bitter flavour, lay a slightly sweet and rewarding flavour. Life is very much like this: the challenges that we face sometimes hide a silver lining, and once we notice, it changes the way we look at things. Flavours of Youth can similarly be a bitter film to watch, being quite unconventional in its presentation, but once one takes a bit of time to think about what Flavours of Youth wants its audience to take away, and also takes a bit of time to consider Chinese culture, this sixty-minute long anthology suddenly takes on a new meaning. With all of this in mind, I strongly recommend watching Flavours of Youth for all viewers; there is great worth in looking at this film and its glimpse into the merger of old and new in Chinese culture, as well as how change figures in a nation that has come a considerable ways in the past fifty years. I really like what you said there! By the way, I am wondering if I can use your photo of grown-up Xiao Yu and Li Mo for a blog I am writing. I will credit you. Which screenshot are you referring to? I’ll be happy to send you a 1080p version of that screenshot for your use. Thank you for taking the time to read the post; I hope you found the movie enjoyable. It’s the shot of Xiao Yu and Li Mo sitting with the CD player. Absolutely: here you are. Happy writing!